So you love gaming, but also want to spend more time with your family – or your kids love it, and you just want to spend more time with them doing something you can all enjoy. Maybe you just have some concerns about kids who play video games excessively, and want to make sure they're doing something you can approve of. Don’t worry, there’s a solution. You can game together, have fun and grow closer at the same time. Here are five fun, competitive, family friendly games to keep you and your children entertained (Just don’t let them beat you too badly). es is a game series based around three things: building an empire, gathering resources, and defeating your enemies to take their territory. In Age of Empires 3, the multiplayer mode lets you play as a family, each of you running an empire as you see fit and either cooperating to rule the world or taking each other down until there’s only one empire left standing. There are several empires to choose from, ranging through Africa to Europe, each with its own perks and play style. Age of Empires also doubles as an opportunity to learn about ancient history, though you’ll have to point out what’s real and what’s fictionalized to your children. Who says video games can’t be educational? Video games can help kids learn, and make the learning fun. One caveat: this is a game to play with older children. Younger ones might be bored or simply confused by some of the management involved. 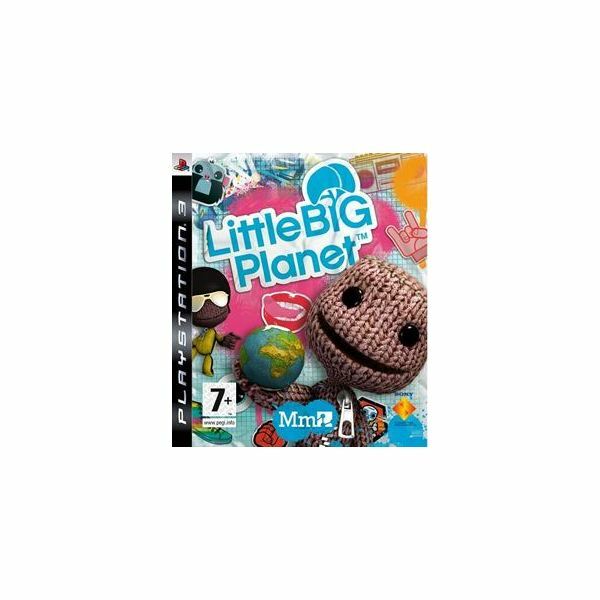 Little Big Planet, or Little Big Planet 2, are PS3 exclusives. Both are similar and are perfect games for family friendly cooperative play. Up to four players can help each other though Little Big Planet’s sprawling worlds, boosting each other up, collecting items and pushing obstacles into place. This is a good choice especially for small children, who may not have the dexterity or patience necessary for more complex games. The art style, too, is designed to appeal to children with lots of bright colors, funny accessories and soft textures. The whole family can customize their characters with clothes, hair and paint and get ready to have fun. This is a good option, too, if you're concerned about violence in video games. Every character is a small stuffed toy, and though it's possible to die and be sent back to try again, it's very mild and bloodless. You'd see worse in the looney toons. Mario Kart has been incredibly popular ever since its very first incarnation on the Nintendo 64, and it's had iterations on every system since, from the Nintendo DS to the Nintendo Wii. The newest iteration is out on the Wii (with the name of Mario Kart Wii). With fast-paced racing, tons of tricks and traps to use on your opponents, tens of race courses and a full suite of Nintendo characters, this game is sure to be a hit with your family. Mario Kart Wii will have a long shelf life with your kids, too. It takes a lot of racing to unlock everything in Mario Kart, and with the sheer number of extra characters and racetracks as unlockables that are available, they'll be entertained for a long time to come. Up to four players can race at once, either competing or on teams, and there are several other game modes, including a battle mode, to choose from. 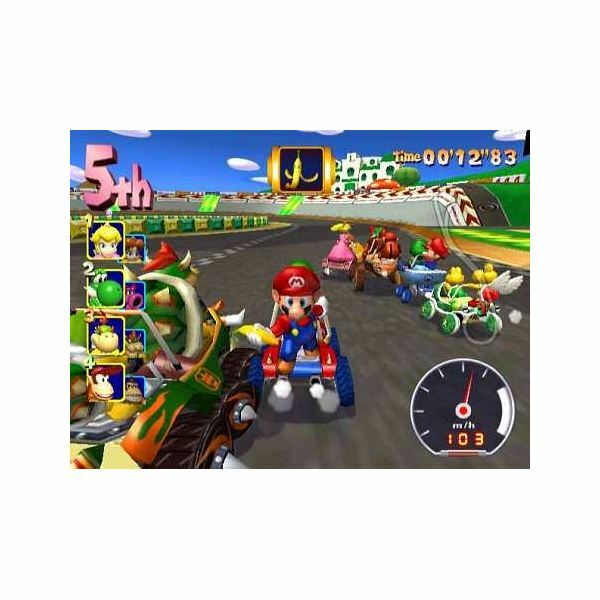 Mario Kart Wii will provide you and your family with hours of fun and family bonding time as you run each other off the road–all in good fun, of course. 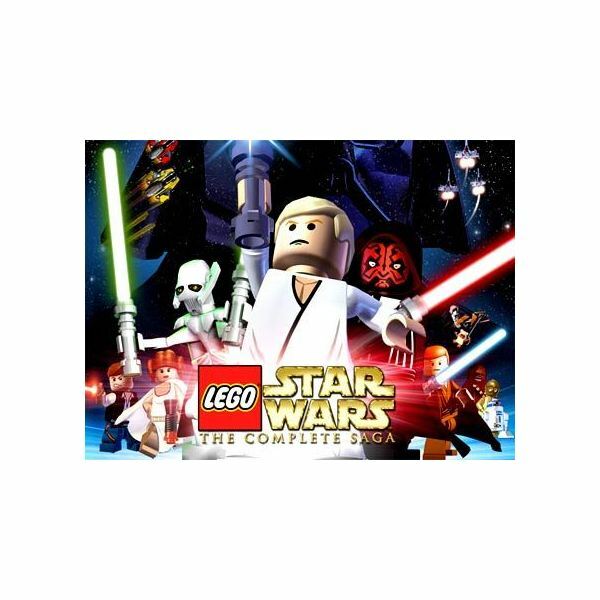 Lego Star Wars: The Complete Saga, available on just about every platform, is sure to be a hit with kids, especially young boys. With two player cooperative play, you can range throughout the Star Wars universe with your child, in Lego form. With more than thirty levels, even more bonus levels and twenty bounty hunter missions you’ve got enough to keep you occupied for a long time. Kids will enjoy the Lego graphics, and you’ll enjoy acting like a kid again as you make your way though deep space.There are lots of familiar characters to see and places to go. This game is a little older but still easy to find due to its popularity, and in a way that may be a plus. If you have an older PC you shouldn’t have any problems with slowdown or using an older video card, unlike what might happen with a newer game. 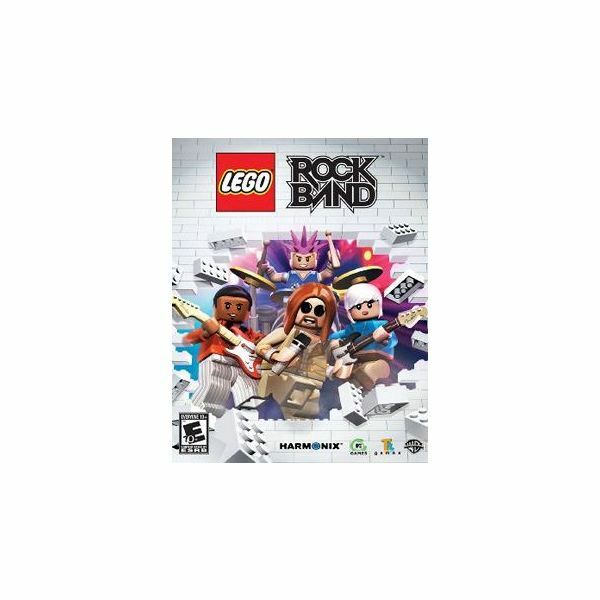 Lego Rock Band is part of the Rock Band series, except (as you might have guessed) with Lego. It’s a little older, having been released in 2009, but it’s the same Rock Band experience that you love, and all 45 included songs have been selected to be family friendly. Up to four players can use the instrument controllers to play the drums, guitar and sing along with the music. This makes for a great and family-friendly activity, and it’s a lot of fun, too. You can customize your avatars by building with virtual Lego blocks, and the game has the option to download more songs if 45 aren’t enough. Unfortunately, due to its age, songs released after Rock Band 3 are no longer compatible due to format changes. Still, it's well worth playing, and your children will have fun belting out the tunes. Hey, it's less expensive than a real guitar! These are just a few of the many, many options out there. As you can see, there’s a whole world of family-friendly cooperative games just waiting for you and your family to take advantage of them, and have a little fun along the way. Your kids will thank you for it.